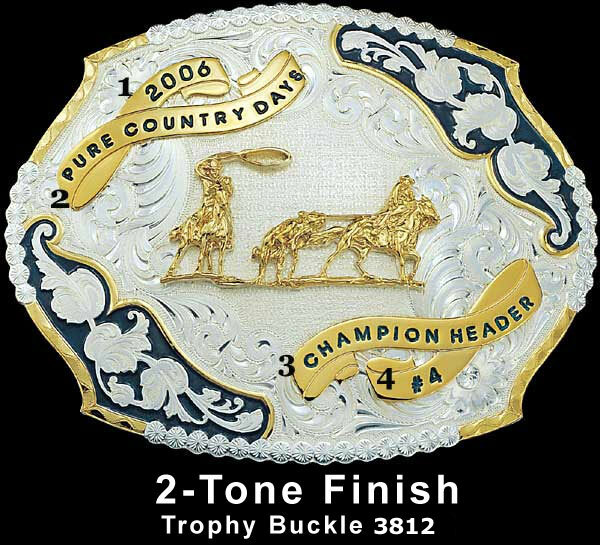 Trophy Buckles 3812 by Montana Silversmiths. 3½" x 4½". Available in 2-Tone (silver filigree) finish. 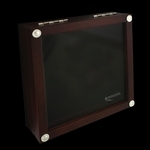 Four engraveable ribbons to display your message. Shown with Team Roper figure 663M and Montana Blue engraving and background color. Download the Catalog of Figures here. 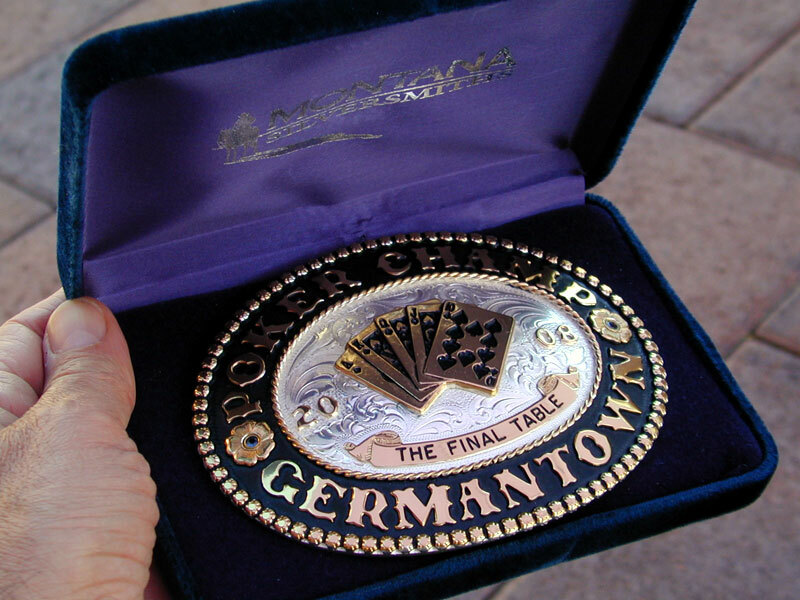 These Trophy Buckles are also available with an Antiqued Patina.